And yet despite all these obstacles they managed to ride over 20,000 miles in four months, changing their lives forever in the process. As they travelled they documented their trip, taking photographs, and writing diaries by the campfire. 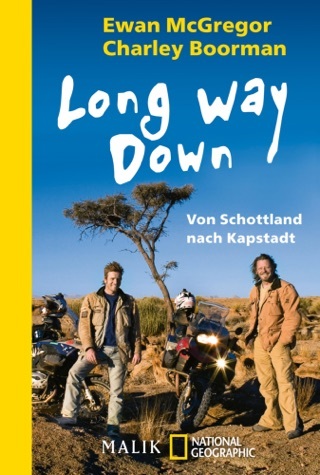 Long Way Round is the result of their adventures - a fascinating, frank and highly entertaining travel book about two friends riding round the world together and, against all the odds, realising their dream. Actors McGregor (Moulin Rouge; The Phantom Menace) and Boorman (Deliverance; Hope and Glory) left London by motorbike in April 2004, heading east. They traveled across Europe and Asia, flew over the Pacific and continued across North America to New York, all in four months. 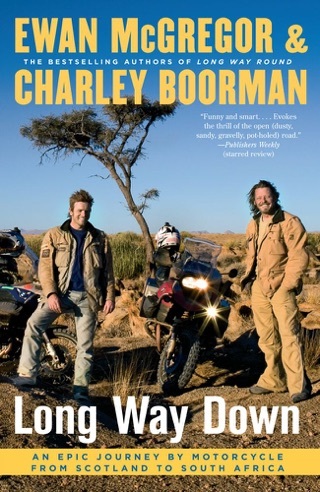 This travelogue of the adventure is a small miracle of persistence and speed, since McGregor and Boorman finished their trip mere months ago, and though in some places the rush job shows, it's readable and entertaining, told in the actors' alternating voices. Western Europe and North America, with their good roads and English speakers, held few surprises, but eastern Europe and Asia the Ukraine, Kazakhstan, Mongolia and Siberia were a moment-by-moment challenge, even with the authors riding top-of-the-line BMW cycles. Roads in the former Soviet nations were the biggest and most consistent obstacles, sometimes in such poor shape that the authors' progress slowed to less than 20 miles a day (and this on a 20,000-mile trip). People were another hurdle, from the Kalashnikov-toting coalminers of eastern Ukraine to the ever-present Kazakh police. But the riders met many others, like second-generation Chernobyl victims and street children in Ulaanbaatar, who make Mongolia's isolation palpable. Working under tight deadlines, the duo had little time or space for reflection, and the account often reads like the description of a race. The trip was an accomplishment, nevertheless, and, in its immediacy, so is this book. Maps, photos. Amazing journey! Felt like I was along for the ride. I tried to tempt my wife towards the show and said She was not interested. After one show... She now agrees, it's quite good! Inspiring work gentlemen. I got this book thinking it was going to be a movie star ride across the world. Hotels and champagne with lots of porters and concierge service. Boy was I wrong. 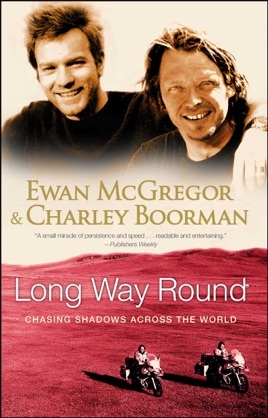 I have nothing but respect for both Charley and Ewan for doing the ride but for also letting me experience there true feelings. They tell an amazing story of life from the eyes of two people trying to get away more then go somewhere. What they find is truly amazing. They find each other and themselves. Simply one of the best books I have read in a very long time. So good in fact that I bought the long way down before I finished this one. No matter how good it is I will always carry a special place in my heart for "long way round"!